The Jury Bias Model has served as a useful tool for more than a decade. Now, you can apply it in new ways to help jurors see your case in a more positive light. Today, it’s no secret that an anti-plaintiff bias among jurors is common. We developed the Jury Bias Model to fight the effects of the antiplaintiff bias and inject fairness back into the system. AAJ Education (then ATLA’s National College of Advocacy) held its first focus group college in Charleston, South Carolina, in 1994, when focus groups and jury research were not yet commonplace among trial lawyers. More than 30 trial lawyers from around the country attended; some 60 focus groups were conducted with several hundred participants. Faculty and attendees analyzed the focus groups and found a striking uniformity of attitudes: a clear antiplaintiff bias. Jurors seemed at times to be not only deliberately indifferent to the plaintiff’s suffering, but also hostile toward the plaintiff. Jurors often used rhetoric heard in tort “reform” ads as heuristics, or mental shortcuts, to understand and explain the plaintiff’s conduct. A sea change in juror attitudes had occurred, and plaintiff attorneys were struggling to adapt. Communication that had been working was no longer effective, and good legal skills were sometimes insufficient to prevail, so lawyers began looking to social science for explanations about juror hostility. Organizing hostile juror attitudes into a cohesive model that could be used to build cases from the bottom up was the inspiration for the Jury Bias Model. Developed empirically and grounded in cognitive and social psychology research, the model was meant to be a research-based alternative to other advice that was being offered to lawyers about how to deal with increasing antiplaintiff bias among jurors. Too often, lawyers construct their case strategies from the top down, meaning their trial stories originate from their own intuitions. The Jury Bias Model urges lawyers to construct the case narratives on what jurors—not lawyers—find most influential. The categories used to organize juror attitudes were developed in the field through hundreds of hours spent observing juror discussions. These recurrent attitudes grew directly from negative, antiplaintiff tort “reform” rhetoric. As such, the categories had a negative frame, one that made the negative aspects of the case salient and helped minimize the effects of hostile attitudes. But it also made these hostile attitudes obvious to the lawyer, which often served to deflate—rather than encourage—him or her. For instance, the Jury Bias Model uses the categories “Suspicion” and “Victimization.” Each can be reframed in a more positive light to accomplish the same goals. Suspicion. The model encourages lawyers to research whether some aspect of the plaintiff’s conduct raises juror suspicion, causing jurors to mistrust the plaintiff and the case. It is a useful tool for analyzing the plaintiff’s conduct; however, invoking the tort “reformers’” frame may serve to reinforce it. It keeps the lawyer vigilant about the plaintiff acting in ways that elicit suspicion, but it also focuses on the negative aspects of the plaintiff’s conduct. The model can have a positive frame that focuses the lawyer on building a stronger case, rather than defending against the worst case. Suspicion can be reframed as credibility, with the lawyer identifying conduct that will establish the plaintiff’s credibility as the protagonist in the story and a witness to the events. The plaintiff’s story should not require jurors to assume anything. It should be consistent and complete, including why the injury occurred, and cast any contradictory facts in as positive a light as plausible. Did the plaintiff act in a normative manner, or did he or she deviate from what jurors would expect from him or her in the situation? Did the plaintiff have control of the mechanism of the injury, and if so, what measures did he or she take to reduce or prevent the risk of injury? The plaintiff’s story must be consistent with jurors’ life experience to be believable. Is the plaintiff credible as a witness? Is his or her verbal and nonverbal behavior congruent? The plaintiff must appear to be open-minded and personally responsible, accepting the consequences for his or her injuries, even more so when jurors are likely to judge the plaintiff to be at fault. Jurors have an unconscious sense of fairness. Holding the defendant accountable must feelfair to them. Jurors’ perception that the plaintiff’s demand for justice is fair is measured against their perception of the wrongfulness of the defendant’s conduct and the harmfulness of that conduct to the plaintiff.1 Jurors want to feel that the plaintiff truly is deserving and in need of help. The more jurors like the plaintiff, the more they will be inclined to help. Simple tools, such as knowing that people who smile are more likeable than people who do not, should inform the plaintiff’s conduct in the courtroom. Thus, having the plaintiff smile when introduced to the jury for the first time is helpful. It is socially appropriate and encourages jurors to like the plaintiff. Presenting a credible plaintiff has the effect of eliminating a suspicious plaintiff, but the frame is more positive and hopeful. Victimization. From the beginning, research revealed that jurors were acutely concerned about how verdicts would affect their own pocketbooks. When faced with a Hobson’s choice of helping a plaintiff and hurting themselves, the choice was easy. This juror attitude is a direct result of tort “reformers’” framing verdicts negatively for the American jury pool; jurors are persuaded that the public needs protection in the jury box from irrational lawsuits. In our research, a minority of jurors who felt victimized closed their minds to the evidence and favored the defendant. The lawyer had to overcome the resistance of these jurors, who weighed the personal consequences of a plaintiff’s verdict against the rule-oriented task of judging the facts. Our research shows that all jurors begin the case as partisans. Social psychological research has demonstrated convincingly that people do not recognize their own biases. In fact, most jurors we encountered sincerely felt that they had considered the evidence objectively and that other jurors, if truly objective, would see it their way. Lee Ross and others have shown that when partisans encounter new information, they interpret it to confirm their partisan views.2 Even worse, information discrediting the partisan’s attitude only strengthens that attitude. This tendency is so robust that people will interpret a study supporting their point of view as much more credible than one challenging it. We have demonstrated in our research that when jurors felt highly concerned about the negative effects of verdicts, any evidence presented served only to strengthen their attitudes. Identifying such individuals during jury selection is essential. Jurors who feel victimized and are inclined to favor the defendant, but who remain open-minded, are still persuadable. Framing the case so that these jurors recognize the importance of a verdict for the plaintiff is key. Effectively communicating the benefits of a plaintiff’s verdict, or the detriment of a defense verdict, helps ease these jurors’ consciences and their concerns about the effects of large verdicts. The negative frame of victimization implies a victim: the American public. A positive frame is the private and public good the verdict can engender. This viewpoint is more optimistic and motivating for plaintiffs and trial lawyers alike. Although the Jury Bias Model is effective when used as a trial-preparation model, it is most effective when used as a case-preparation model. The time to apply the model is at case inception, not on the eve of trial. If you begin early in trial preparation, you can focus on the positive while still combating defense strategy. 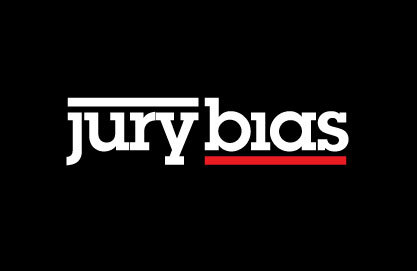 The goal of the Jury Bias Model is to thoroughly research how jurors intuitively understand the trial story early enough to make the proper adjustments in the narrative and obtain answers to juror questions about gaps in or concerns about the evidence. During discovery, you should identify the defendant’s decisions that led to the injury. We have long known that jurors have an unconscious tendency to focus on the plaintiff’s faulty decisions that led to the injury. Refocusing jurors on the defendant’s decision-making is the best antidote. Since the plaintiff’s decisions are proximal, or closer in time, to the injury, it is natural for jurors to look to the plaintiff for cause. In contrast, in products liability cases, the defendant’s decisions that led to the injury might have been made years or even decades earlier. Thus, discovering the years of decision-making that led to the product defect that caused the injury can give you a chance at trial to minimize the impact of the plaintiff’s conduct and establish a contrast between the parties. You cannot tell jurors what to think, but you can influence what they think about—if you begin framing the story at the earliest opportunity. Identifying decisions that the defendant could have made differently and that would have prevented the outcome will help jurors understand that the defendant had choices. If you show how good decisions would have prevented the outcome, jurors can imagine an alternative world in which the injury did not occur and the plaintiff’s health is restored. Discovering what jurors expect from someone in the defendant’s position helps focus the inquiry during discovery. Is this defendant representative of what jurors expect from a person or entity in the defendant’s position? Did the defendant act normatively? Identifying how jurors are likely to explain the events is critical. Before deposing the defendant, it is important to learn what factors will lead jurors to justify the defendant’s conduct. Will jurors intuitively understand the case to be a typical example of how a plaintiff behaves in this type of situation? Knowing whether jurors will perceive either party’s conduct to be unusual helps you decide what information to gather during discovery. Jurors attribute greater responsibility when the defendent’s conduct is the exception rather than the norm. Focus groups, surveys, and in-depth interviews with people representative of the jury pool will supply answers to these important pretrial inquiries. In a products liability case, for example, a manufacturer that had a moral obligation to include a safety device, but is in accord with fellow manufacturers in excluding the device, is less likely to have its product judged defective. Jurors make judgments comparing the defendant’s conduct using reference points, or anchors, to judge whether the defendant is at fault or its product is defective. Thus, jurors want to know how other manufacturers have acted or have designed a similar product and compare the defendant to others similarly situated. Identifying reference points, such as similar products that have the safety device or other manufacturers that have eliminated the defect, will make it more likely jurors will judge the product defective. Pretrial research to identify critical comparative reference points begins with exploring juror judgments about “representativeness.” If the defendant’s conduct is representative of most other manufacturers, its conduct will be judged as having conformed to the norm. In contrast, if other manufacturers have acted differently, eliminating the defect, these reference points highlight how the defendant deviated from the norm. Looking for critical comparative reference points is an important task of pretrial discovery. Each juror examines the case through his or her own personal lens. Nonetheless, there will be shared norms about how the parties acted that can be used persuasively. Discovering the facts that are salient in the jurors’ minds can provide insight into how to tell a story that makes it more likely jurors will focus on those facts to decide the case. Priming a fact, graphically visualizing it, and repeating it can mean the difference between winning and losing. The Jury Bias Model was intended to help lawyers present their cases, in large part, to a juror’s unconscious and determine how jurors understand the case intuitively. Part of the model was originally thought of as addressing the “untried issues” in the case—matters outside the evidence that seemed to influence the outcome greatly. Our research found that most jurors were not conscious of the influence that these untried issues had on their judgment and decision-making. When untried issues—such as victimization, or feeling personally victimized by lawsuits, were made conscious, jurors denied any effect, using the evidence to rationalize their decisions. When pressed to explain their rationale, however, it became obvious that the evidence was insufficient to explain their decision-making. Instead, jurors would often explain their decisions by rationalizing that “stuff happens” or “sometimes bad things happen and no one is to blame.” On closer analysis, jurors often felt deeply about these issues, out of proportion to their judgment of the plaintiff’s predicament that was relegated to “stuff happens.” In other words, the conscious explanation that accompanied the “stuff happens” rationalization was incongruent with the depth of emotion these jurors expressed, such as the degree of hostility toward the plaintiff. Rule-oriented arguments were helpful in persuading jurors on a conscious level. Arguing the evidence analytically and systematically was important—but insufficient always to carry the day because of these untried issues. Therefore, we focused on incorporating strategies in the model to address unconscious biases. The model presumed the case had to be tried to both the conscious and the unconscious. Often, jurors’ attention to the evidence drifts in and out during trial. Moreover, jurors find the courtroom a novel environment that creates anxiety. The likelihood of information overload is high. Our research shows that the more jurors suffer from information overload, the more likely they will be to rely on bias and in most cases favor a defense verdict. Jurors are economical in their thinking, and they intuitively search for simple questions to answer as substitutes for the complex questions presented in a case. Helping jurors identify the simple questions will ease their burden in intuitively judging the case. Simplicity and clarity win cases. Jurors process the evidence both consciously and unconsciously, and the majority (or much) of trial time is spent in unconscious processing. Jurors’ decision-making strategies and the effects of framing work largely outside of conscious awareness. This is true of all of us. Jurors search for evidence consistent with what they believe, and that view of the evidence perseveres. If jurors relied on a Bayesian4 approach to the evidence, they would constantly update their views of the evidence and wait until all the evidence was presented before making judgments. But jurors, like the general population, are susceptible to the influence of framing, priming, the order of the presentation of evidence, and the like in making judgments. Undoubtedly, researching how jurors intuitively and unconsciously process evidence during trial will bear fruit. Every trial lawyer should think about mapping a trial strategy to address juror intuition. Framing and priming are critical tools trial lawyers should carefully consider in preparing and trying a case. For example, in a study of how framing influences physician decision-making about medical treatment, physicians were asked to evaluate which treatment for lung cancer was better: surgery or radiation. When the information provided to doctors was framed as “this is the number of patients who will die with each treatment” (the mortality frame), their judgment about the treatment they would choose differed greatly from their judgment when the information was framed as “this is the number of patients who will survive with each treatment” (the survival frame). Each frame used exactly the same statistics; only the frame varied. Doctors would likely resist believing that their professional judgment could be unconsciously influenced through a simple framing manipulation. The big point for trial lawyers is that framing can and does influence the judgment of jurors as well. In the courtroom, demonstrating to jurors that a verdict for the plaintiff will have a beneficial effect can reduce their anxiety about the consequences of returning a plaintiff verdict. But this is only half of the answer to overcoming juror resistance, because this strategy is directed only at conscious judgment. Unconscious judgment also must be addressed through such things as loss framing and priming. Loss framing. People are naturally reluctant to change the status quo. Jurors intuitively perceive the status quo as the position the parties are in at the time the trial begins. Thus, doing nothing is a safe choice for jurors. This is particularly true when jurors are unsure about their decision or when they think that they have something to lose in deciding for the plaintiff. The uncompensated plaintiff is intuitively perceived as the status quo. Jurors who feel victimized by large jury awards will have an unconscious preference for the status quo—a defense verdict. We believe that jurors have a defense verdict bias. For instance, in a medical malpractice case, you could consciously appeal to jurors and argue that a plaintiff verdict will benefit the community by improving health care. But jurors need to believe that health care in their community is safe, because to believe otherwise would create constant anxiety. After all, each juror is a consumer of that health care, and people need to believe they live in a safe world where they have some control over the risks they encounter. So rather than threatening to destroy jurors’ comforting view that the status quo is a safe health care system, why not frame the verdict as it actually is—a protection against a defendant who threatens to eliminate safe medical practice? Frame the plaintiff’s evidence as the standard of care, consistent with what jurors unconsciously believe they already possess; frame a verdict for the defendant as lowering the standard of care and eliminating safe health care. People are reluctant to give up what they already own. Further, people are more motivated, unconsciously, by preventing the loss of something they own than they are by the prospects of obtaining some gain or benefit. Framing the defense verdict as a loss of safe health care unconsciously motivates jurors more than the prospects of gaining better or safer health care. “Loss framing” eliminates the defense verdict bias, removes the status quo benefit from the defendant, and levels the playing field for the plaintiff. The unconscious threat of loss trumps the conscious benefit of making the jurors’ world safer. This strategy presumes that the standard of care reflects the community’s experience and is consistent with what jurors believe typically occurs. Pretrial research is essential to discover how the community defines the standard before framing can be effective. Only then can the trial story be told in a manner that is consistent with, and confirms, the jurors’ experience. If jurors perceive the standard to be different from what the lawyer argues the standard is, loss framing will be ineffective. Focus groups and community surveys can help identify how the community defines the standard. Then, experts and established standards, rules, and procedures can be used to confirm jurors’ experience. When the defendant suggests the standard is different, it will threaten to eliminate something that jurors possess and know to be true and that provides feelings of safety and comfort. Thus, a defense verdict can be framed as a lowering of the standard and a loss to the community of the status quo—existing safe practice. Priming. Research has shown that priming can influence jurors unconsciously. This strategy has come a long way since 1957, when James Vickery claimed that flashing messages too fast for the conscious mind to process caused consumers to purchase popcorn and soft drinks at a drive-in.7 While that claim was proved untrue, social psychologists have shown that priming outside of conscious awareness can and does influence behavior. For instance, the mere presence of a backpack in the experiment room unconsciously influenced subjects to behave more cooperatively, while the presence of a briefcase caused subjects in the experiment to behave more competitively.8 Priming the feeling of magnanimity, for example, has been shown experimentally to create more generosity in people9—a quality in jurors that trial lawyers and plaintiffs alike highly covet. Other researchers have explained this blame-the-victim mechanism as a psychological defense to being emotionally flooded, triggered by the thoughts of facing a similar fate to that of the victim. To reduce these thoughts and feelings, the juror blames the plaintiff as a psychological defense. Jurors rationalize that they would have acted differently and prevented the injury had they been confronted with the plaintiff’s circumstances. Psychologists have theorized that people want to believe that they live in a “just world” where people get what they deserve and bad things happen only to the people who deserve them.12 Thus, a conscious appeal for jurors to feel compassion for the plaintiff can be, and often is, met with great resistance. Nonetheless, it is critical to elicit empathy for the plaintiff because it leads to altruism and compassion and stems the tide of antiplaintiff bias. One strategy for bypassing the conscious resistance to feeling empathy toward the plaintiff is to unconsciously prime feelings of attachment13 and empathy. Consider this: discussing issues of closeness, love, or emotional support with the plaintiff during direct examination likely will cause jurors to think about examples of those things in their own lives. Asking the plaintiff whom he or she turns to for emotional support in time of need may cause jurors to answer that question for themselves. This will trigger positive memories and feelings of comfort in jurors while the plaintiff is testifying. This will likely create fondness for the plaintiff. Simply, indirectly priming feelings of comfort, safety, and support through direct examination of the plaintiff can serve to reduce juror anxiety and anchor a positive association of the plaintiff in the juror’s mind. This does not eliminate the lawyer’s obligation to demonstrate that the plaintiff has been personally responsible and address other likely juror concerns, but these direct and conscious methods of eliciting empathy for the plaintiff can be combined with unconscious priming to help jurors feel empathic toward the plaintiff. Jurors do not and cannot rely solely on effortful, conscious processing to analyze the evidence. Communicating in a manner that helps jurors intuitively understand the evidence will ease the burden on them and eliminate the need for them to remain hypervigilant throughout trial to reach a just result. Researching how jurors unconsciously make judgments and decisions holds great promise for trial lawyers. 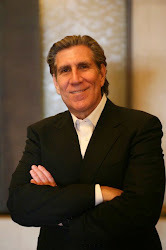 David Wenner is a partner in Snyder & Wenner in Phoenix, Arizona. Gregory S. Cusimanois a partner in Cusimano, Keener, Roberts & Raley in Gadsden, Alabama. They are principals in the trial consulting firm Cusimano, Wenner, Bossart & Lazarus—Winning Works. The authors created the Jury Bias Model that is the basis of AAJ’s Overcoming Juror Bias Seminar & College. See Adam L. Alter et al., Transgression Wrongfulness Outweighs Its Harmfulness as a Determinant of Sentence Severity, 31 L. & Hum. Behavior 319 (2007). Lee Ross & Andrew Ward, Naive Realism: Implications for Social Conflict and Misunderstanding (Stan. Ctr. on Conflict & Negot. Working Paper No. 48, May 1995). See Phillip G. Peters Jr., Doctors and Juries, 105 Mich. L. Rev. 1453 (2007). Named for the 18th-century British mathematician Thomas Bayes, Bayesian probability has been defined as the degree to which a person (or community) believes that a proposition is true. B.J. McNeil et al., On the Elicitation of Preferences for Alternative Therapies, 306 New Eng. J. Med. 1259, 1261-62 (1982),http://content.nejm.org/cgi/content/abstract/306/21/1259. Daniel Kahneman & Amos Tversky, Prospect Theory: An Analysis of Decision under Risk, 47 Econometrica 263, 279 (1979); Nobel Found., The Sveriges Riksbank Prize in Economic Sciences in Memory of Alfred Nobel 2002,http://nobelprize.org/nobel_prizes/economics/laureates/2002; see also Daniel Kahneman et al., The Endowment Effect, Loss Aversion, and Status Quo Bias, 5 J. Econ. Persps. 193 (1991). See Vance Packard, Hidden Persuaders (Random House 1957); see also Richard Gafford, C. Intelligence Agency, The Operational Potential of Subliminal Perception(1995), http://tinyurl.com/22ajcu. See Aaron C. Kay et al., Material Priming: The Influence of Mundane Physical Objects on Situational Construal and Competitive Behavior Choice, 95 Organizational Behavior & Hum. Dec. Processes 83 (2004); see also E. Tory Higgins,Knowledge Activation: Accessibility, Applicability, and Salience, in Social Psychology: Handbook of Basic Principles 133 (E.Tory Higgins & Arie W. Kruglanski eds., Guilford Press 1996). Neal Feigenson et al., Effect of Blameworthiness and Outcome Severity on Attributions of Responsibility and Damage Awards in Comparative Negligence Cases, 1 L. & Hum. Behavior 597, 610-12 (1997). Kelly G. Shaver, Defensive Attribution: Effects of Severity and Relevance on the Responsibility Assigned for an Accident, 14 J. Personality & Soc. Psychol. 101 (1970). See Responses to Victimization and Belief in a Just World (Leo Montada & Melvin J. Lerner eds., Plenum 1998); Melvin J. Lerner & Julie H. Goldberg, When Do Decent People Blame Victims? in Dual-Process Theories in Social Psychology 31 (Shelly Chaiken & Yaacov Trope eds., Guilford Press 1999). Mario Mikulincer et al., Activation of the Attachment System in Adulthood: Threat-Related Primes Increase the Accessibility of Mental Representations of Attachment Figures, 83 J. Personality & Soc. Psychol. 881 (2002).